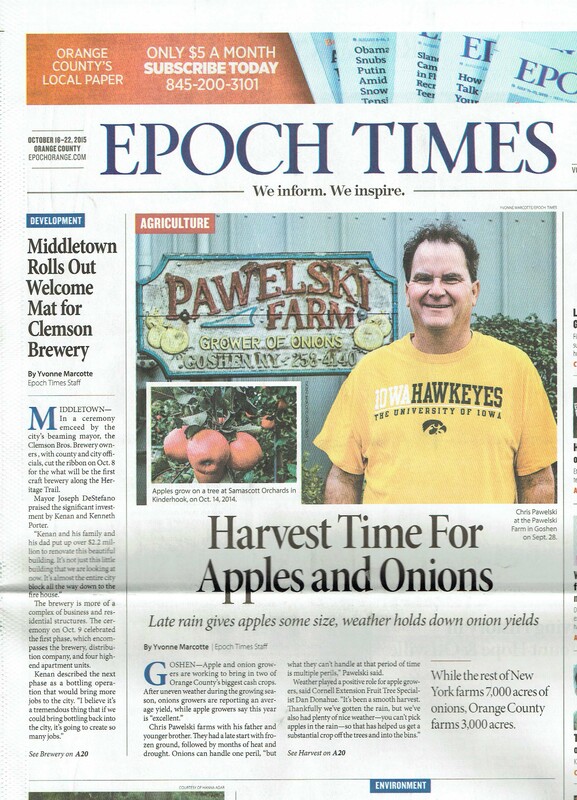 I'm a 4th generation onion farmer married to a wonderful wife named Eve and father of two wonderful boys named Caleb & Jonah. My blog Muckville.com details what I experience on the farm and is designed to inform and entertain. 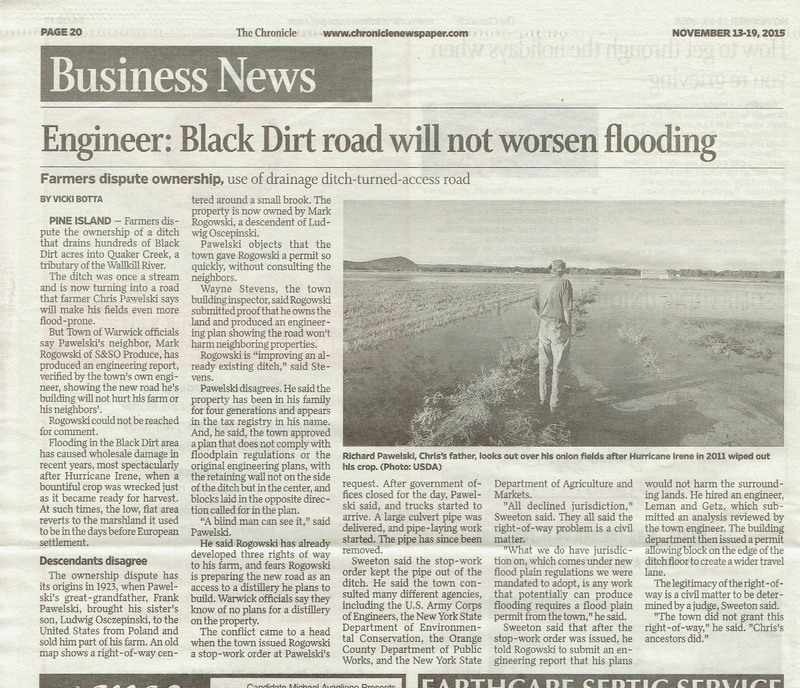 DTN/Progressive Farmer does a national story about my ditch saga! 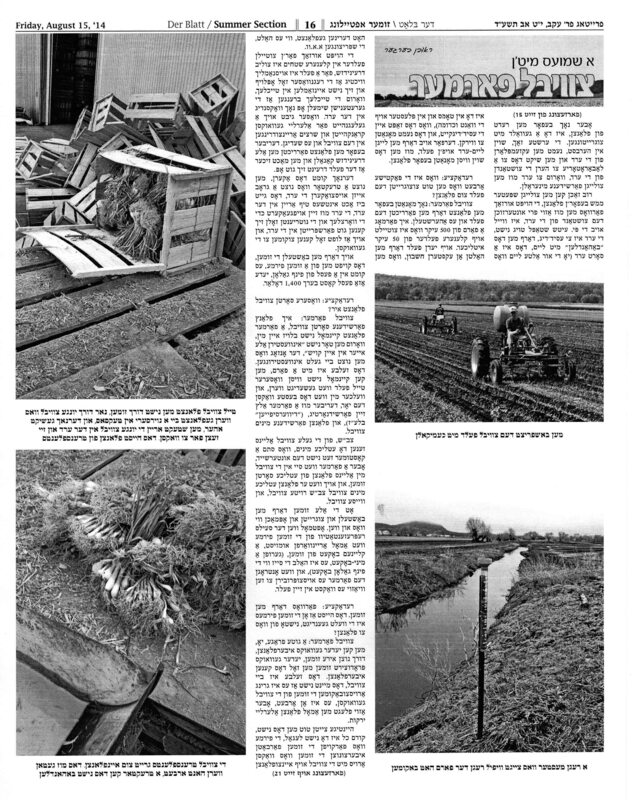 It was recently featured in the May 23, 2016 NYS edition of Morning AgClips as well as the May 23, 2016 edition of POLITICO Morning Agriculture: A daily briefing on agriculture and food policy (see: http://www.politico.com/tipsheets/morning-agriculture/2016/05/humane-society-looks-to-spread-meatless-mondays-this-week-ag-panels-stroll-through-barnyard-organic-takes-the-hill-tpps-slow-roll-in-japan-214437). I will keep you posted on any new developments to this story! It is not over, not by a long shot! My cousin Natalie Vero’s video project about our farm and my life! My very awesome cousin Natalie Vero, who will be graduating this May from Penn State University (of the Big 10 of course) has just posted her video project about our farm and my life. It is extremely cool! Check – it – out! The 2016 Onion Growing Season Has Begun! 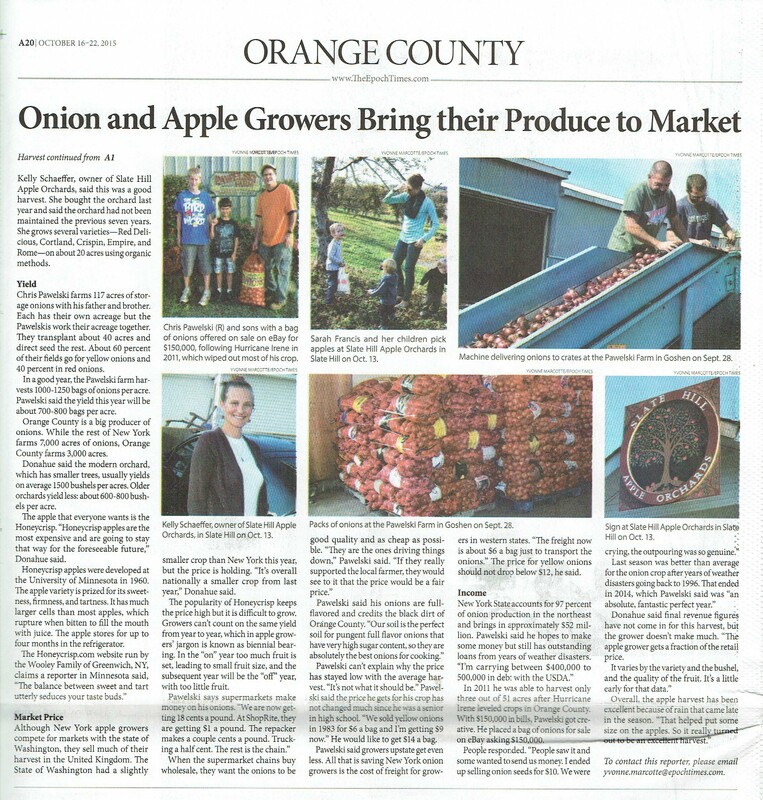 You read that right, the 2016 onion growing season has officially started! 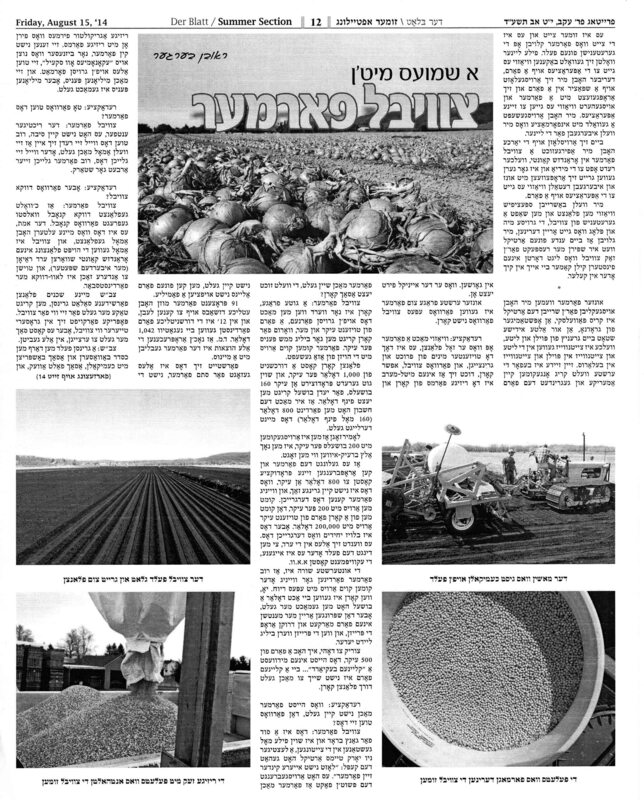 The first tasks are equipment preparation, organizing of seed and other inputs, and land preparation. 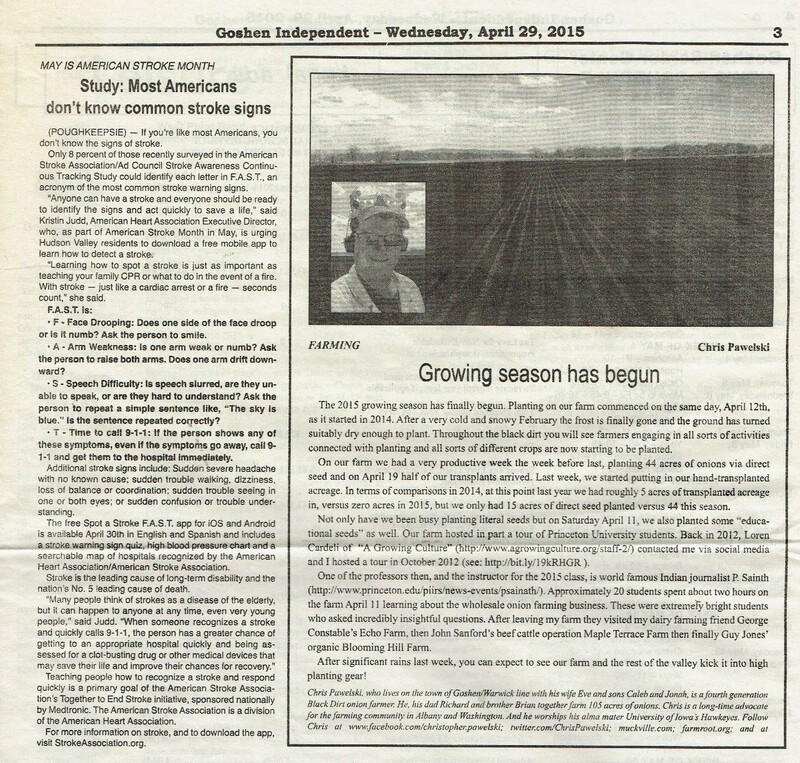 Look for posts detailing the planting season as it progresses! 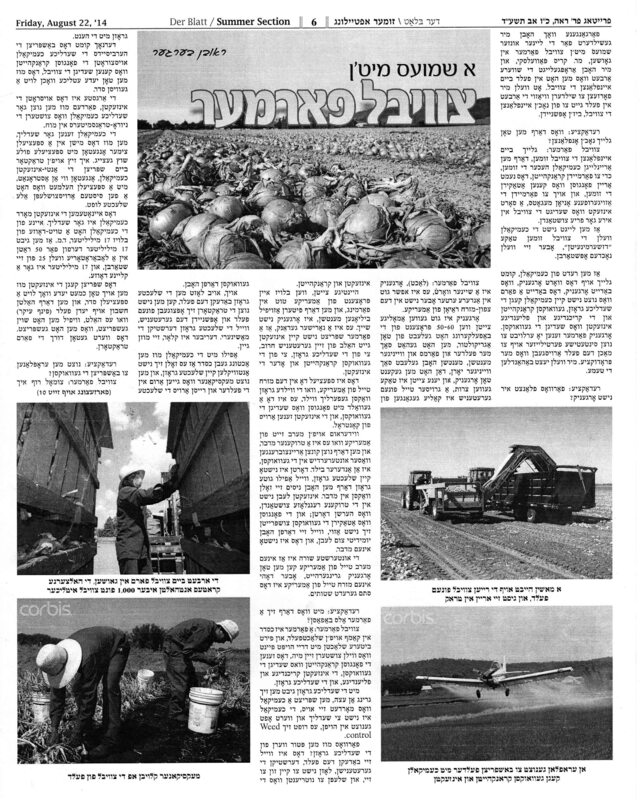 Der Blatt August 15 2014. 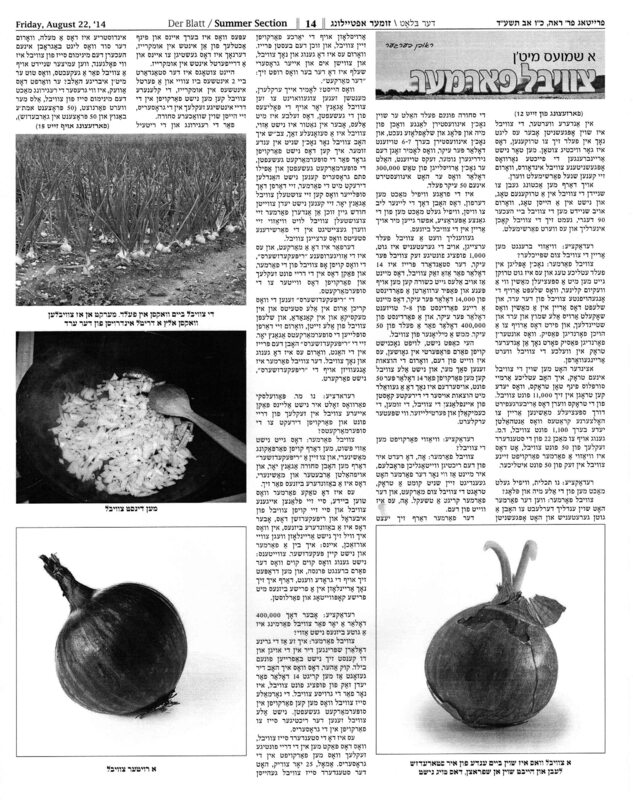 This is newspaper for the Orthodox Jewish Community and the article is in Hebrew. I have no clue what it says, lol. Just want to blog a quick update. Since my near death experience this past September (see: https://muckville.com/2015/09/29/an-interesting-twist-in-my-life-one-minute-im-fine-the-next-cardiac-issues/) I’ve been going to cardiac rehab 3 times a week and am currently taking some new medication. One of those meds is a beta blocker, metoprolol, which I’m taking to slow my heart rate. the main reason? I went to rehab at one point and after I hooked myself up to the equipment I was told I couldn’t particiapte because of my elevated heart rate. Why an elevated heart rate? I was told to “not think about it” but when your property is being wrongly violated by someone right in front of you it is very difficult to “not think about it.” Hence, the metoprolol. A side effect though of this medication has been that it has made me a bit lethargic, fatigued and lacking energy. Our case is proceeding forward and our next court date is January 28th. I will continue to post updates. I will also next week post some recent media pieces I’ve appeared in over the summer. Thank you for your kind support and for following my drivel on this blog! Blogging will pick up soon! Things have been awful crazy on the farm. 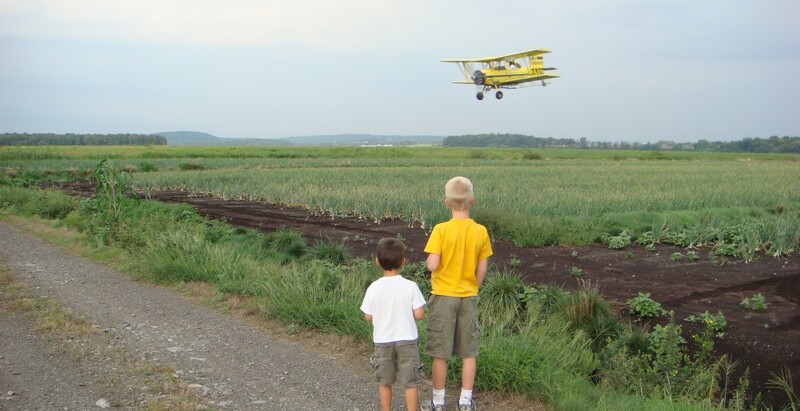 Not only did we have another busy growing season, but, I nearly died from a 95% blockage in my LAD and my neighbors have been violating our land. Oh, this past September 23rd was Eve and I’s 25th wedding anniversary and the Iowa Hawkeyes as of today are 12-0, ranked 3rd in the CFP ranking and playing Michigan State for the Big 10 Championship on Saturday night! As work for the 2015 growing season continues to wind down I will have some more time to blog. 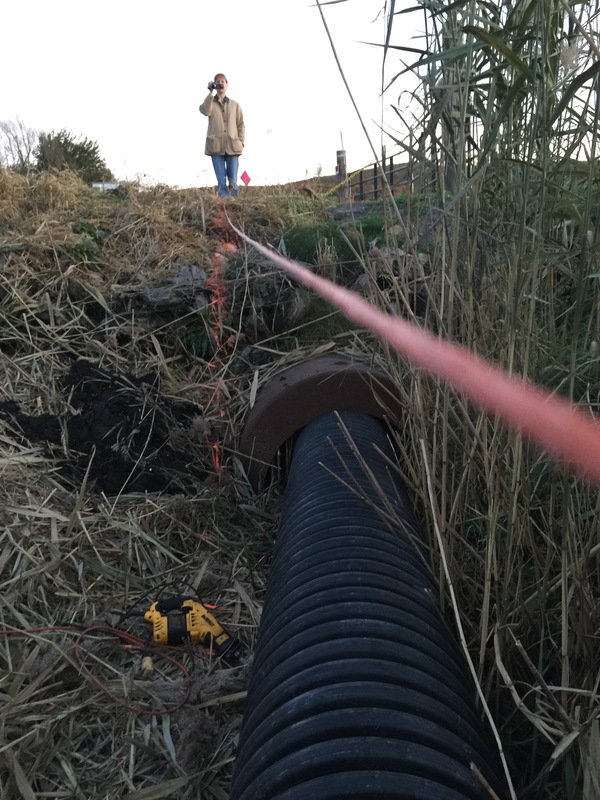 Hopefully in the next few days I will post some of the media pieces I have appeared in the past few months and some more pictures from this season and this horrible drainage ditch situation with my neighbors. More on this situation down the road. Sorry for the lack of articles but you will see more soon! And thank you for reading and following my blog! This season we’ve had an ongoing dispute with our neighbor, S&SO Produce over their right of way through our property. It is now escalating into the absurd. 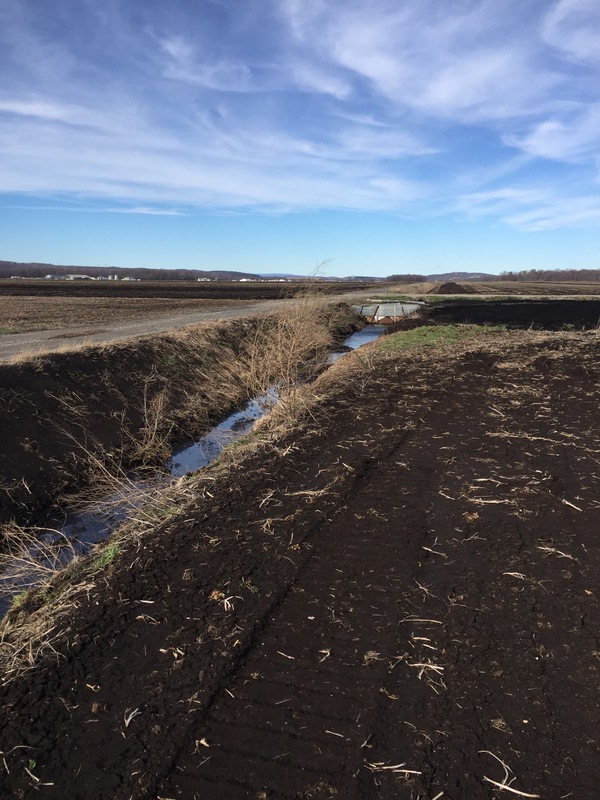 So far it seems it is perfectly legal to build a 700 ft road over a 10 ft deep, 100 year old main ditch that drains hundreds of acres of black dirt underneath Pulaski Highway. They have no permits, no engineering plans, nothing. And, so far, no government agency wants to step up to stop this. They are building this road as fast as they can without permits or permission running under the credo that it is better to beg for forgiveness than ask for permission. 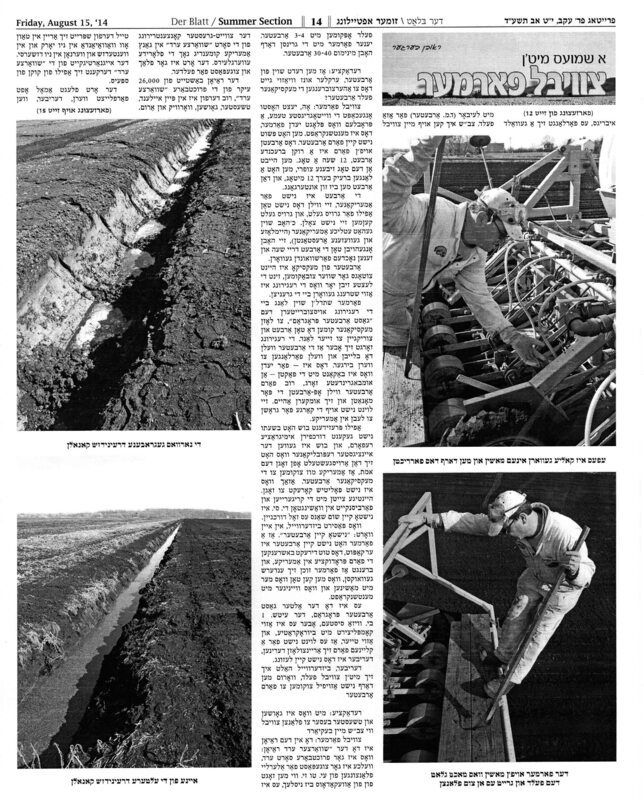 Last night they laid the pipe; today they are dumping dirt in. The Town of Warwick has finally said they will issue a stop work order pending review of the town board but until they issue it and the police are officially told, they are building as fast as they can. That “small brook” is no longer a brook. Over time it has become a main drainage ditch. 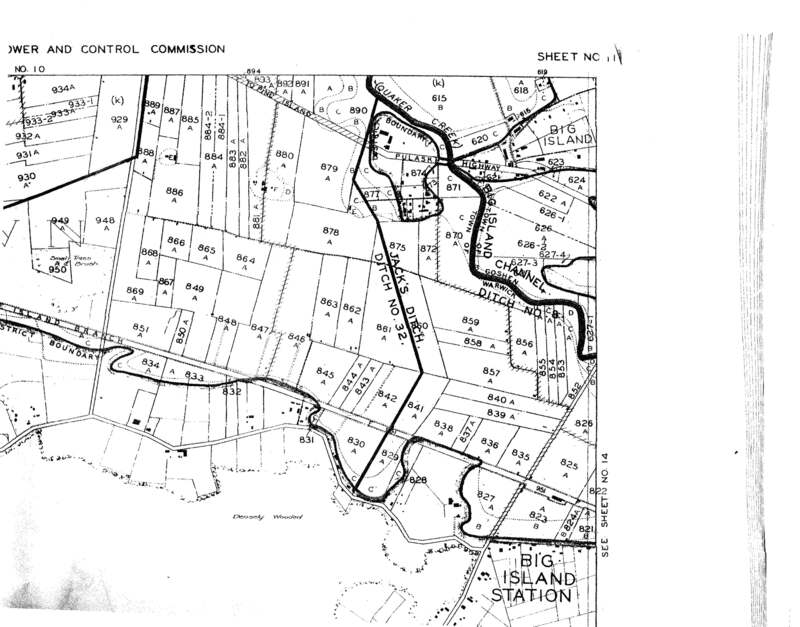 In 1937 it was dug and codified as a Department of Environmental Conservation Commissioner’s Ditch. It is “Jack’s Ditch” or Ditch #32. 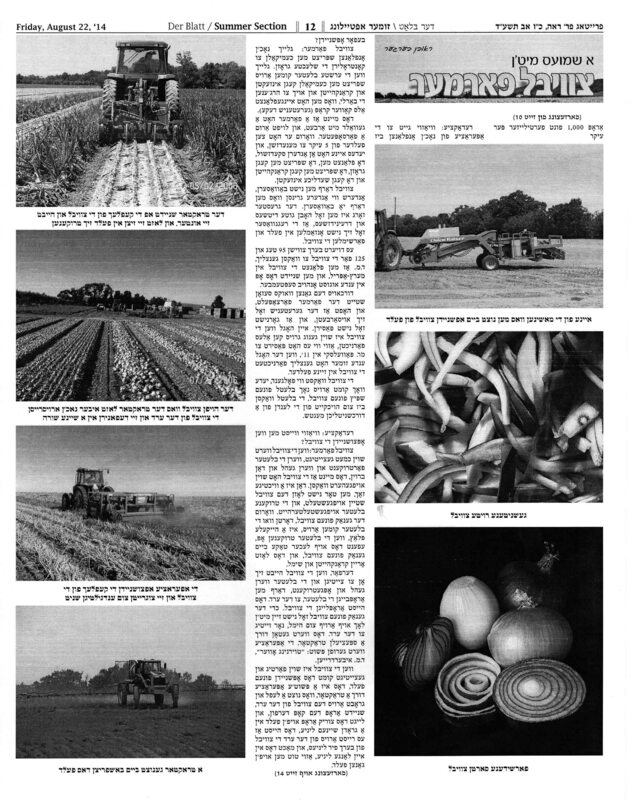 Back in 1938 less swamp had been broken and converted into farmlands. It is probably far more. 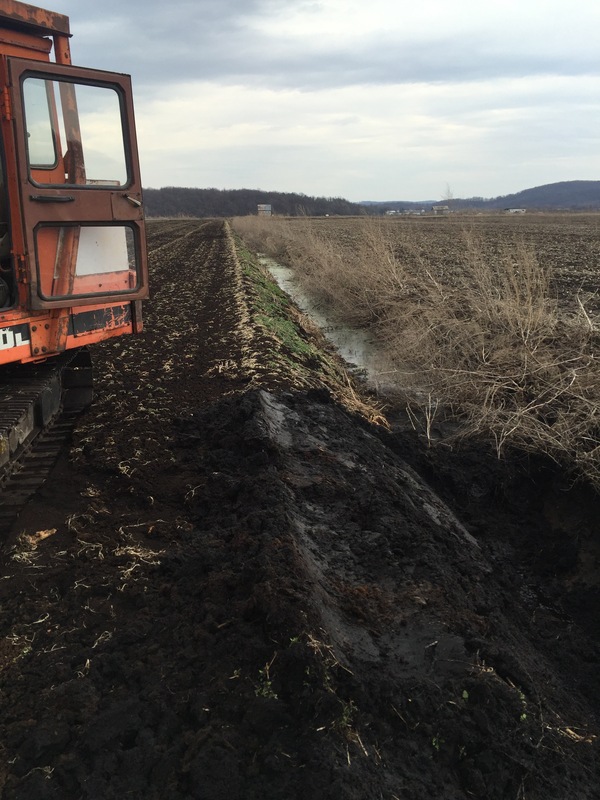 This ditch is now a main drainage ditch. It drains hundreds of acres on a handful of farmer’s land. 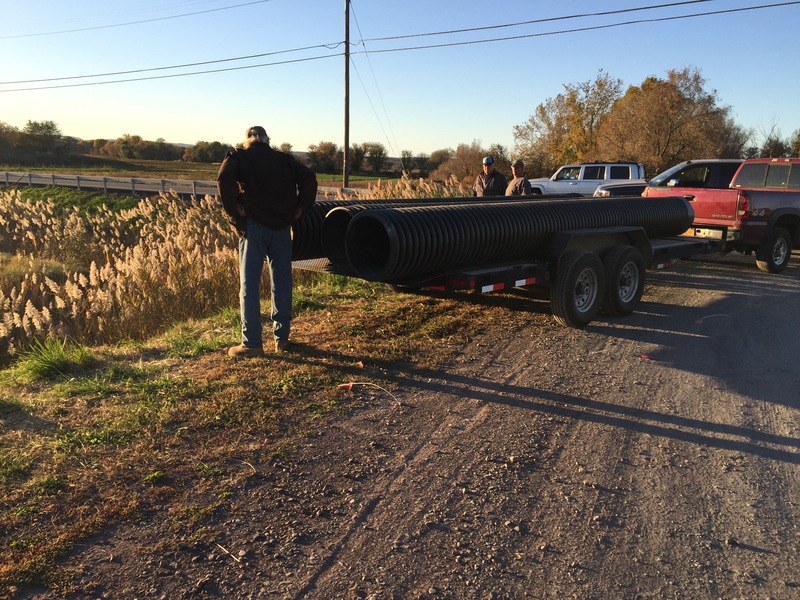 It drains into a 60 inch in diameter pipe that runs under Pulaski Highway and eventually connects into the Quaker Creek. The Quaker Creek is a main tributary of the Wallkill River. My dad recently found a photocopy of a map which includes the right of way. Interestingly it is dated in 1921, 2 years before Frank Pawelski sold the property to the Osczepinski family. So the right of way predates the sale. Since the term “a small brook” is used we believe the right of way probably goes back to the middle to late 19th century. The bottom line is this, it has not existed for over 100 years. 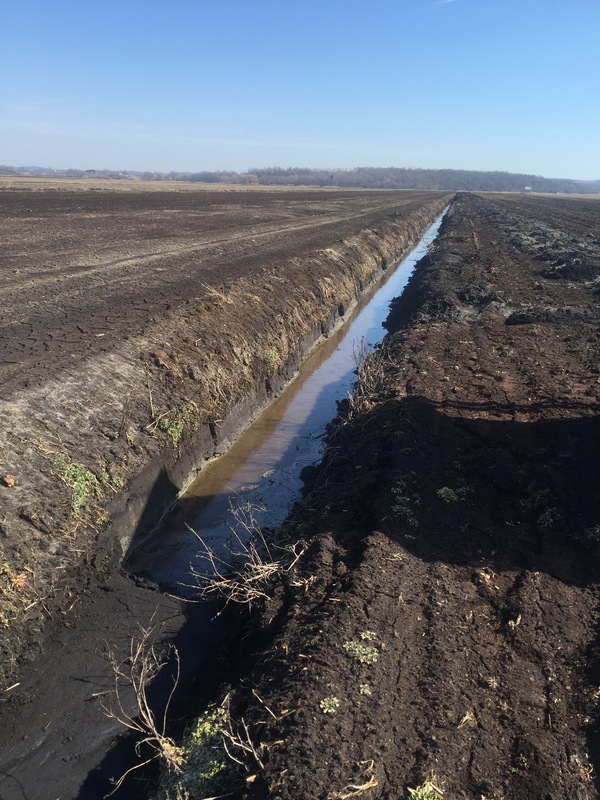 It is now mostly a drainage ditch that drains hundreds of acres of farmland and helps prevent flooding. 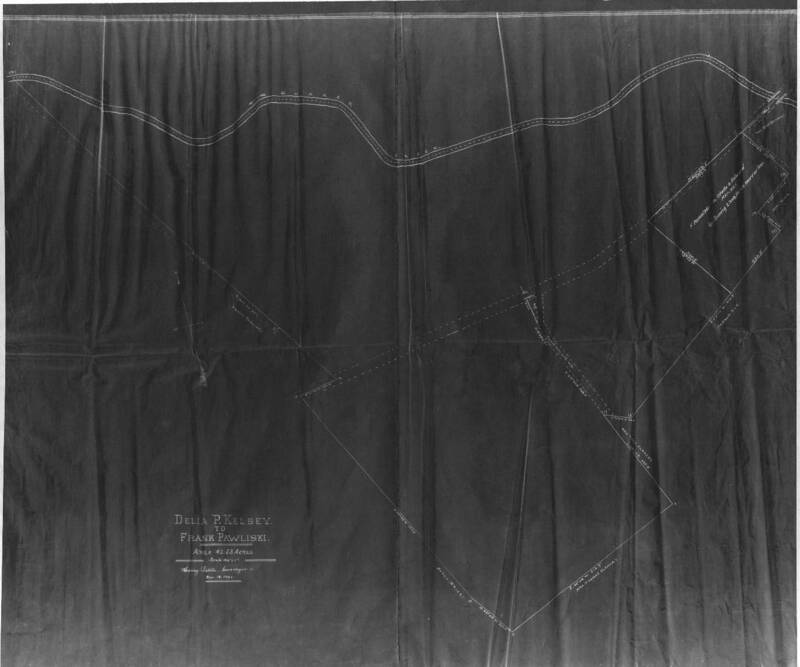 The original Osczepinski land was for many years owned by Ludwig Osczepinski’s daughter Alice and her husband John Labonowski and their son John. During the years the Labonowski’s would sporadically cross over onto our property but they were not using the right of way. My family would allow it, so as to be good neighbors. 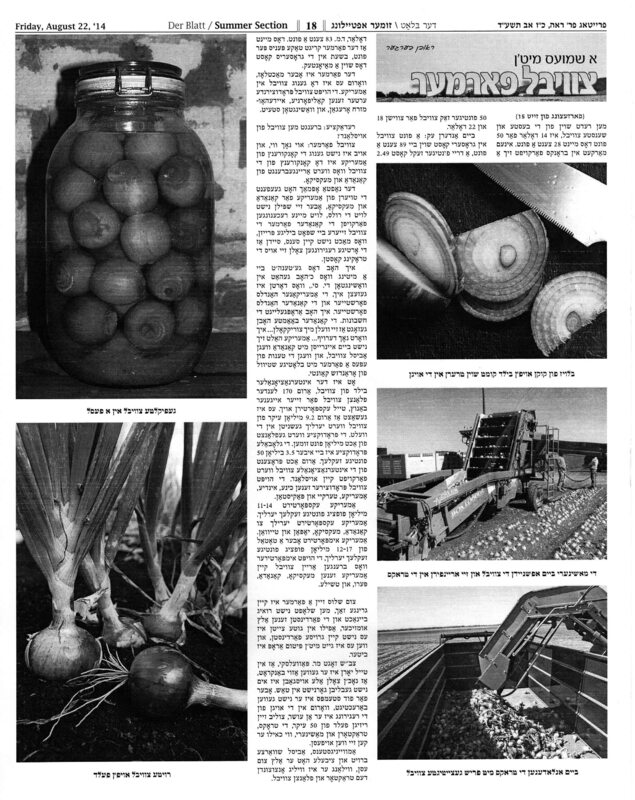 The Labonowski family never allowed Ludwig’s son Stanley and his son Stanley Osczepinski (S & SO Produce) to use their land to cross over ours. The right of way was essentially never used. 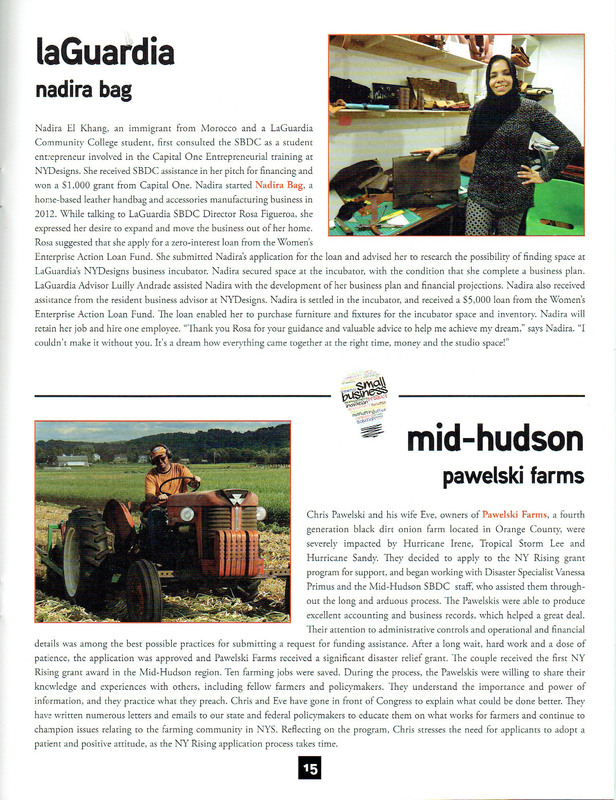 In 2008 Stanley’s daughter Alyson and her husband, Mark Rogowski, bought the Osczepinski homestead. Mark is actually a descendent of Ludwig Osczepinski too. His paternal grandmother was another daughter of Ludwig. 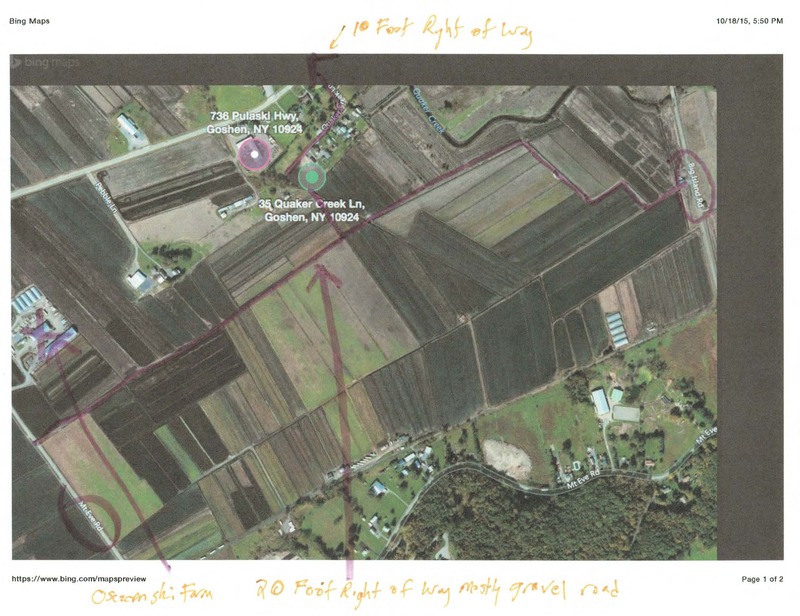 After they bought the property Stanley Osczepinski and his son began to divert much of their farm traffic unto our property. In fact, more traffic from their farm passed over our property than our own. Their farm, S & SO Produce (https://www.facebook.com/ssoproducefarms) grows a number of greens and sells a number of products in the NYC Greenmarket system (http://www.grownyc.org/greenmarket/farmers). For 40+ years S & SO Produce functioned fine without crossing over into my property. 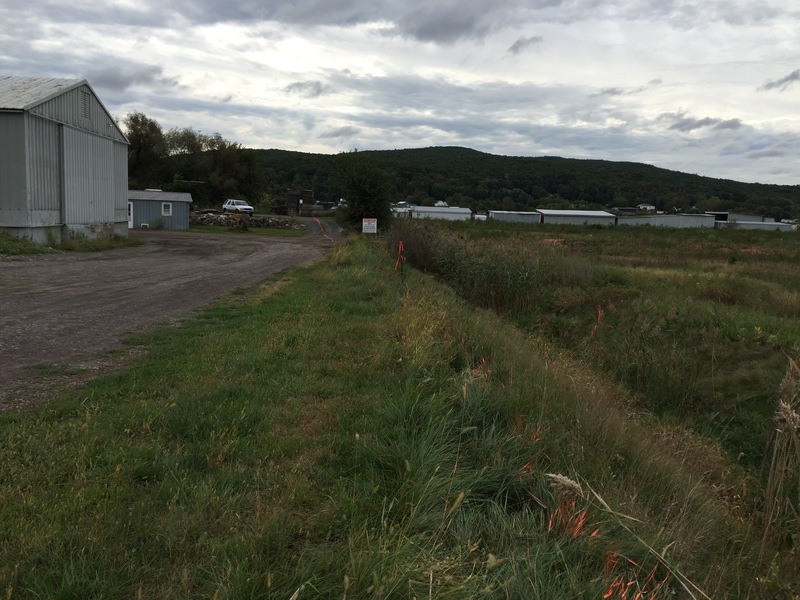 But now Mark Rogowski wants to build a large barn structure on the lot associated with the homestead connected with the right of way. Now the property is not landlocked. There are 2 other right of ways for this property. One is a 10 foot right of way on Quaker Creek Lane that takes you to Pulaski Highway. 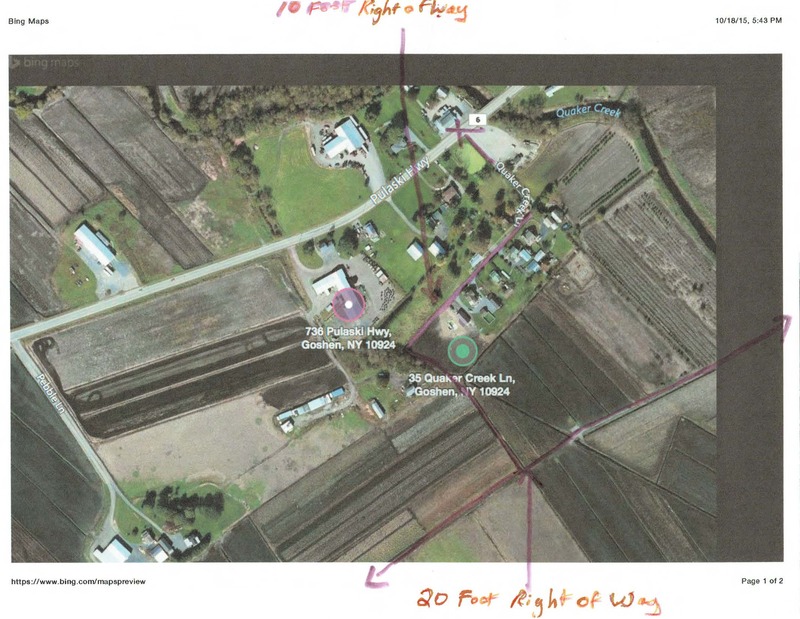 The other is a 20 foot right of way behind his house and property that runs from Big Island Road to Mount Eve Road, where most of their farming operation is located. 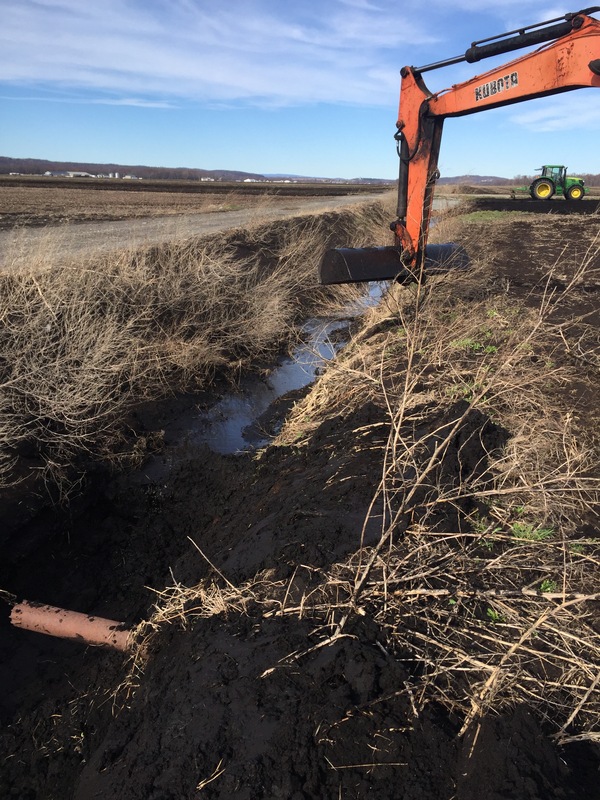 There was a pipe and bridge at the juncture of the Rogowski/Osczepinski land and the 20 foot right of way in the back dirt but Mark Rogowski pulled the pipe and bridge out. Why? As he told Eve and I about a month ago “he didn’t want the Mexican farmworkers driving by his house.” So instead over the last 3 years they have diverted that traffic past my house. But now Rogowski and Osczepinski have decided that their other right of ways are not enough. They want a “straight shot” to Pulaski Highway. 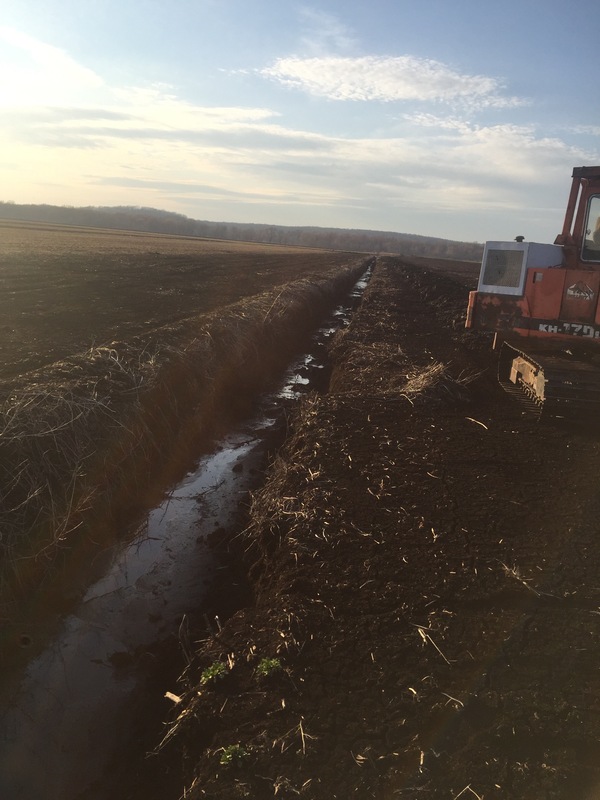 So they have decided they are going to put a small pipe in this ditch, fill it in, and create a road that has never truly existed. 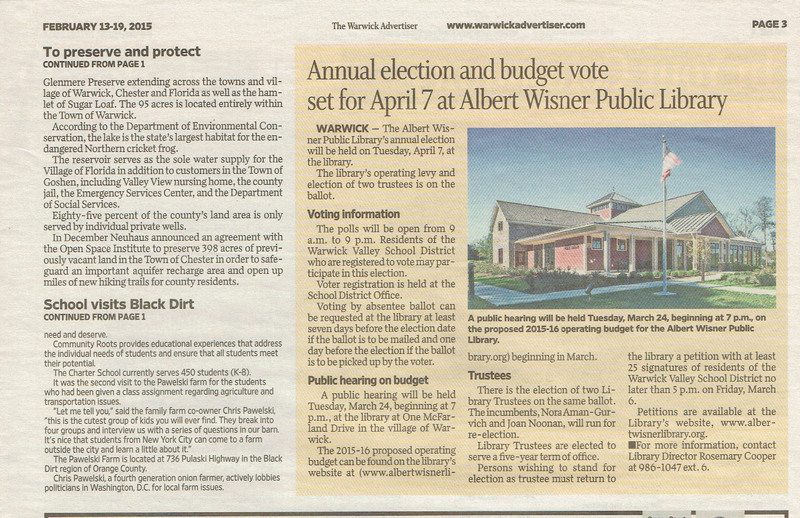 You read that right, they are going to fill in a major drainage ditch. 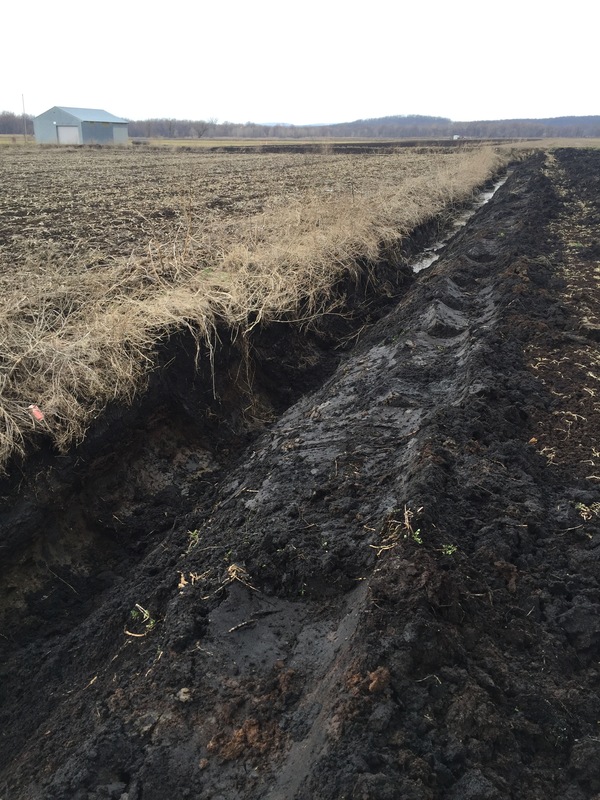 A ditch that drains hundreds of acres of black dirt, including some of their own. They threaten us with potential flooding. 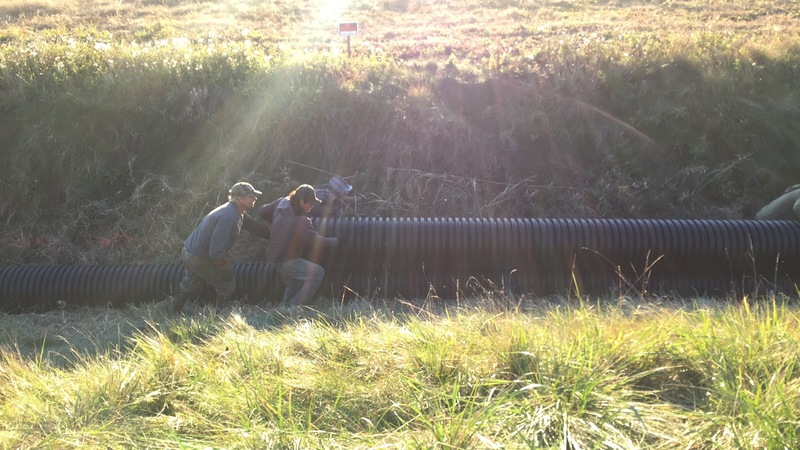 They started tonight, October 23rd, to put in the pipe and eventually fill in this ditch. they have no permits, there are no engineering studies, nothing. They are just doing it. The Town of Warwick Building Department initially put a stop work order on this insanity but then rescinded it and called the situation a “civil matter.” But late this afternoon the building department called me and told me that Rogowski was ordered not to do anything and wait till the Warwick Town Board met. That order was never conveyed to the Warwick or NYS Police so they were unable to act and stop Rogowski and Osczepinski, who totally ignored the instructionsThis ditch is part of the DEC system. No aspect or division of the DEC has assumed responsibility to put a halt to this. They are considering what authority they have but have done nothing to protect this drainage and waterway. But the worst agencies, the agencies that have essentially committed regulatory malfeasance are the Environmental Protection Agency (http://www3.epa.gov) and the Army Corps of Engineers (http://www.usace.army.mil). Why those agencies? Over the past few years there has been a move to modify the Clean Water Act (http://www2.epa.gov/laws-regulations/summary-clean-water-act). A revised rule was written and eventually completed (https://www.fas.org/sgp/crs/misc/R43455.pdf). This revised rule, which altered certain aspects of the Act, most notably in how the notion of non “navigable waters” would be now considered and regulated. Big Agriculture, especially American farm Bureau and the various state Farm Bureau’s vigorously fought this change (http://ditchtherule.fb.org). Truth be told, I went on Capitol Hill and spoke with many offices about the revised rule and my concerns regarding it. 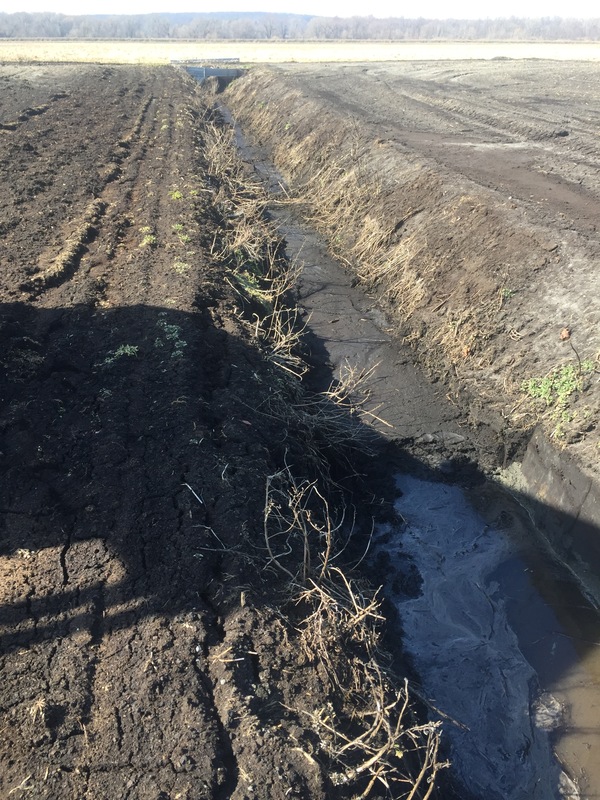 Many feared it was a major step of overregulation and farmers would be threatened in how they properly managed waterways in and around their farms. My concern was my ditches. I feared that I would be prevented from digging and maintaining them. My question, who does that determination and how is that determination made? Is it simply waived? On what basis? I don’t see where it is waived so how is it determined the road is constructed and maintained according to BMPs? Again, a standard is mentioned. If so, what is the standard and how is it determined the standard so as to qualify for the exemption? It simply can’t be the farmer’s say so, correct? What is “sufficiently far from other streams or bodies of water” and who and how is that determined? 50 feet, 500 feet, 1,000 feet? 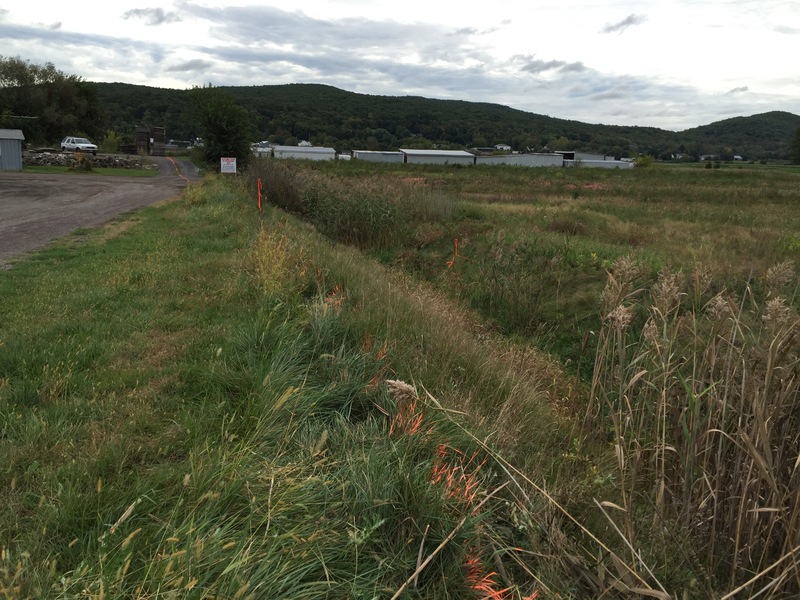 Other major ditches and tributaries of the Wallkill are all around this ditch. 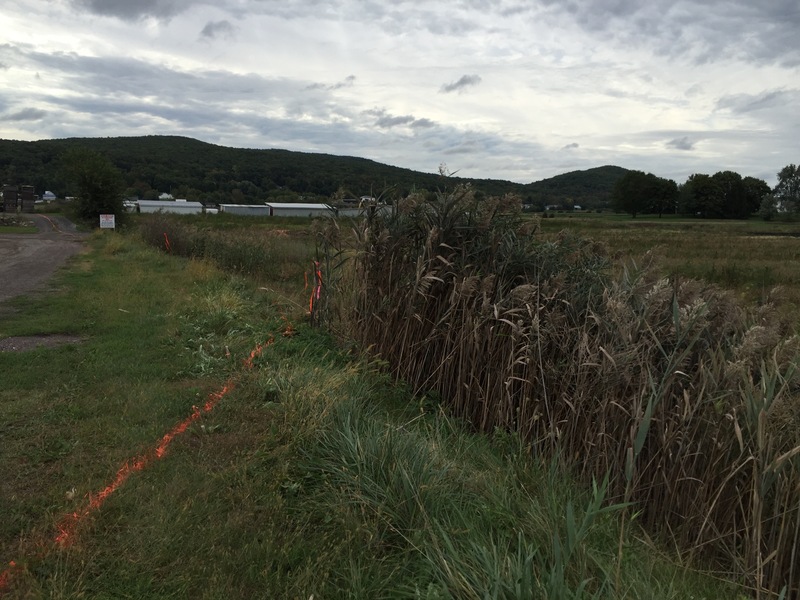 Further when the Wallkill floods the field essentially becomes a huge lake for weeks at a time and the material if it happens again will get picked up by the flood waters and taken back into the Wallkill as the River eventually recedes.. It has happened 7 times since 2005. 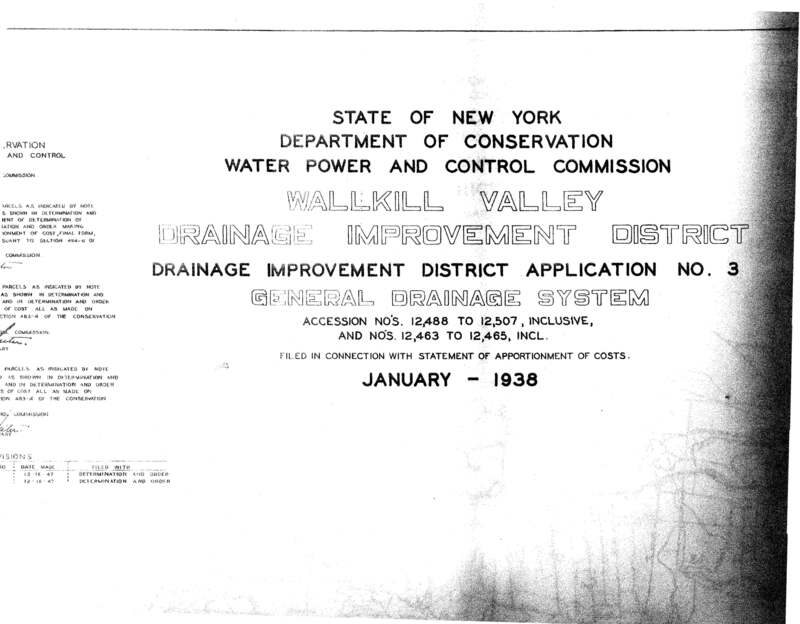 This is a HUGE issue, considering the Wallkill has not been maintained and we have had 7 “50 year floods” since 2005. How on earth is this determined? 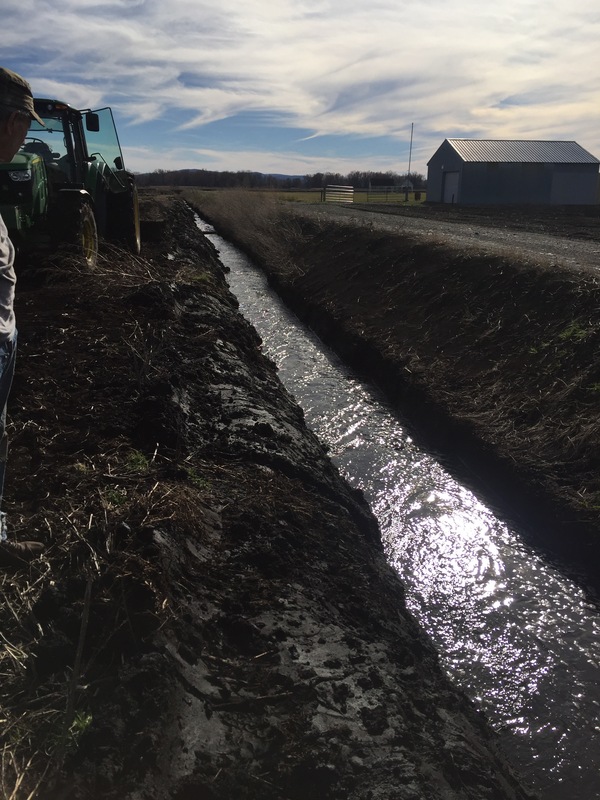 A 300 foot culvert that is 18 inches in diameter will eventually silt up and get blocked, causing the restriction of regular flows, let alone flood flows. I spoke with Brian Orzel of the NY Regulatory Branch of the ACOE (http://www.nan.usace.army.mil/Missions/Regulatory.aspx) last month. He sent me the pdf file of the pertinent section of the rule you see above. In our phone conversation it was very clear he did not want to get involved in this matter. He frequently brought up the 404 Exemption but admitted there were certain exceptions. I pointed out I wasn’t asking for an arbitrary or capricious stop order from the ACOE or EPA. I was only asking they would do their jobs, ask the questions I asked above and protect the farmers from flooding. He was very candid with me. 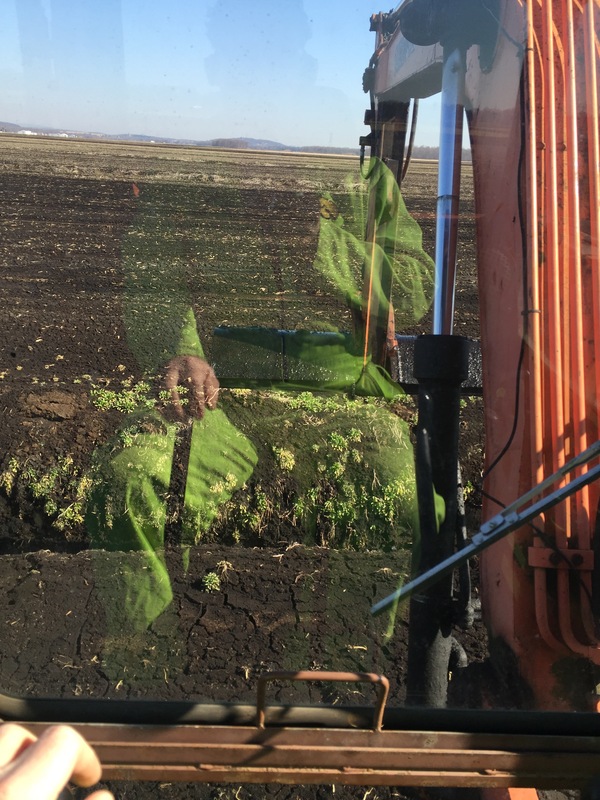 He said that his higher ups in Washington DC would “not want to act against a farmer.” I pointed out to him, over an over again, that what this person was doing in covering over this ditch was not about farming. In fact, in doing nothing and allowing it the ACOE and EPA were hurting many more farmers by allowing a greatly increased future flood risk. Here is the deal, EPA and the ACOE are terrified. They are terrified if they act, apply the rule, and potentially stop this lunacy, that protesters will come out of the woodwork screaming “OVERREGULATION” and claim both agencies are out to hurt farmers. here is my first major complaint. Neither Brian Orzel nor anyone else from either the EPA or the ACOE have bothered to get away from their desks and actually drive out and see this in person. Not a single individual has done this. They have arbitrarily decided to do nothing without even looking at the situation first hand. Orzel is only about an 1 hour 15 minute drive away. They are so terrified of protest they are willing to allow a number of farmers to flood. No farmer is going to protest the EPA and ACOE over their enforcing the appropriate regulations in this matter. 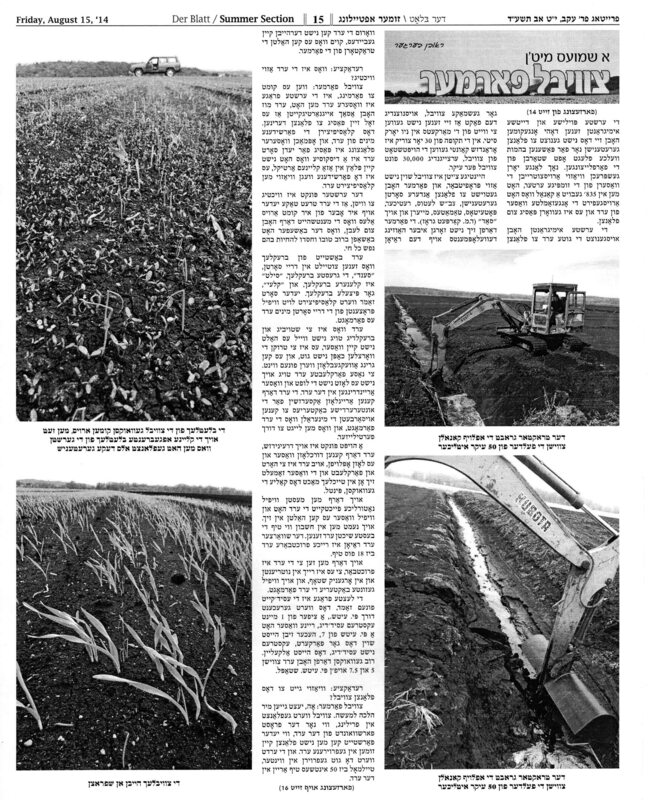 One sacrosanct principle for people farming in the black dirt on muck soils is this: THE FUNDAMENTAL RIGHT TO DRAIN. 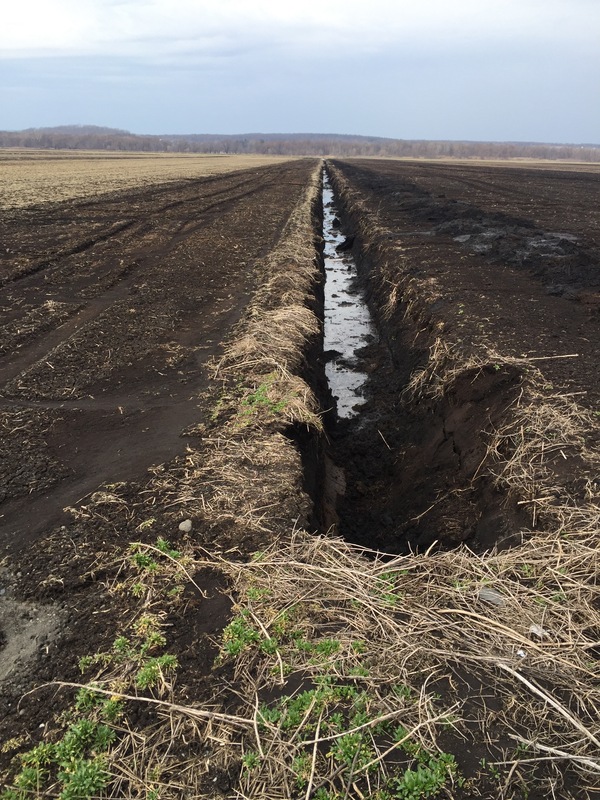 Without proper drainage you cannot successfully farm this ground. Worse, we have experienced 7 50-year floods since 2005 and the ACOE and the NYS DEC have done virtually NOTHING to help mitigate or prevent future flooding. nothing. Where is any engineering study on this? Where is any study or permit? 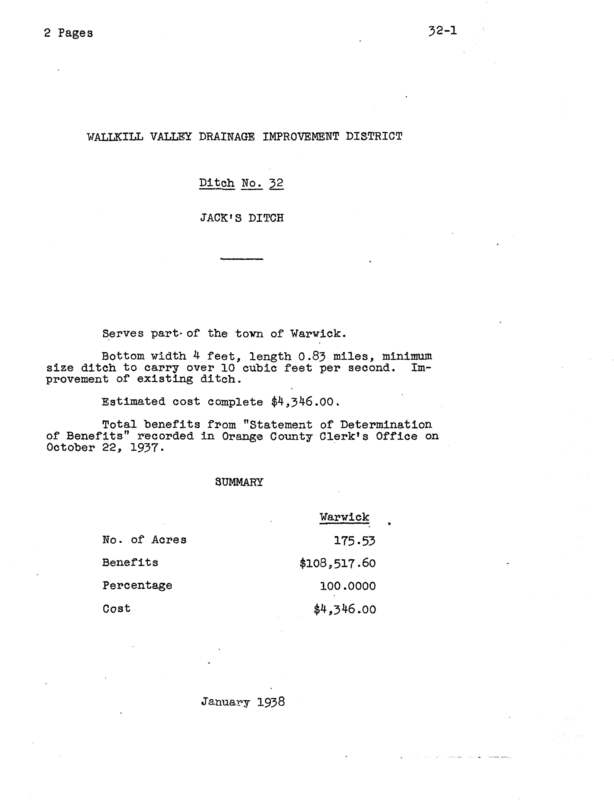 The decision to act or not act in terms of “would be exempt from regulation under Section 404 of the Clean Water Act as long as the provisions of that section are complied with, including designing the road to be the minimum width and length feasible and that it not restrict potential flood flows” and to or to apply the basic rules, regulations, guidelines and restrictions I highlighted above is essentially a political one. Orzel made it perfectly clear to me during our discussion. Because of Agriculture’s big objection to this new rule EPA and ACOE are extremely reluctant (he kept saying DC or Washington) to pursue any actions against farmers. 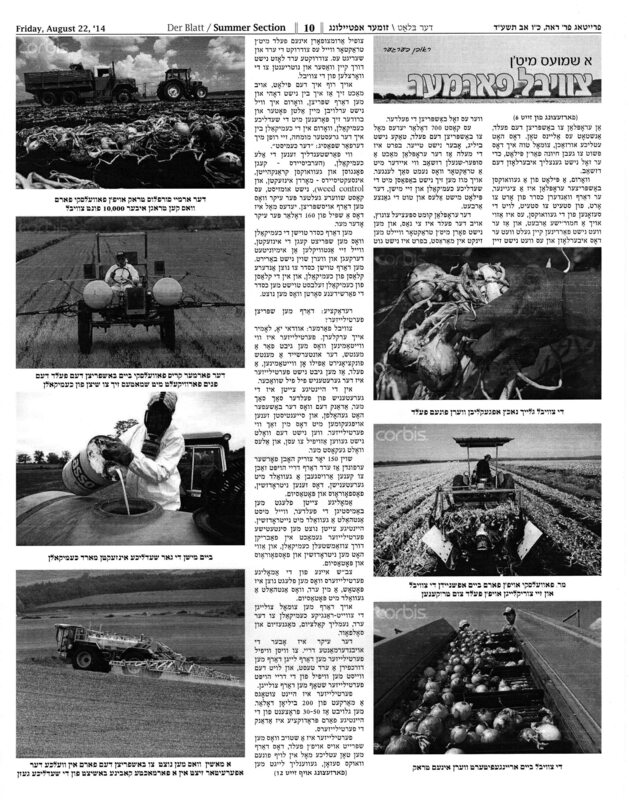 As I said to him though, while essentially sitting back and doing nothing, allowing this farmer to do what they essentially please (for not an actual legitimate farming reason), with not even a cursory check or regulatory compliance or even sort of hoop at all or even questioning it, that may be good for that single farmer who wants to fill in the ditch, to give him a right of way that he doesn’t need, but it may severely and negatively impact a dozen farmers and hundreds of acres of ground that drains this way. Late this afternoon (10/23/15) the Town of Warwick Building Department called me to tell me that Rogowski and Osczepinski were notified this afternoon that they were ordered to do no action regarding this road and they had to wait until the Town of Warwick Board and Supervisor met to discuss it. I was told if they started construction I was to call the Town of Warwick Police and notify them of this and for them to call a certain Building Department employee who would convey this. With this knowledge law enforcement could then act and remove them. That word never got to the Town of Warwick Police. 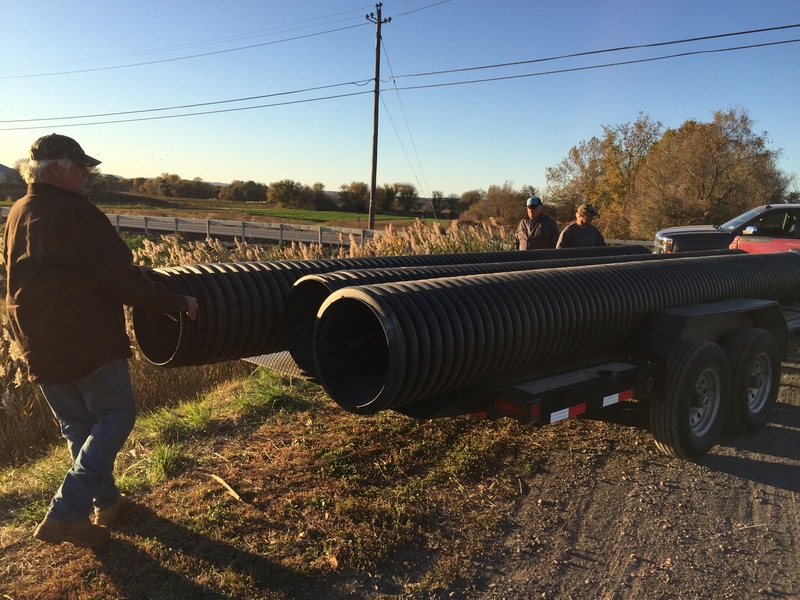 At about 5pm Osczepinski and Rogowski arrived with a number of their employees and began placing 18 inch pipe in the ditch. And no government entity or regulator agency wants to act. they all point the finger at everyone else as to who holds the authority. 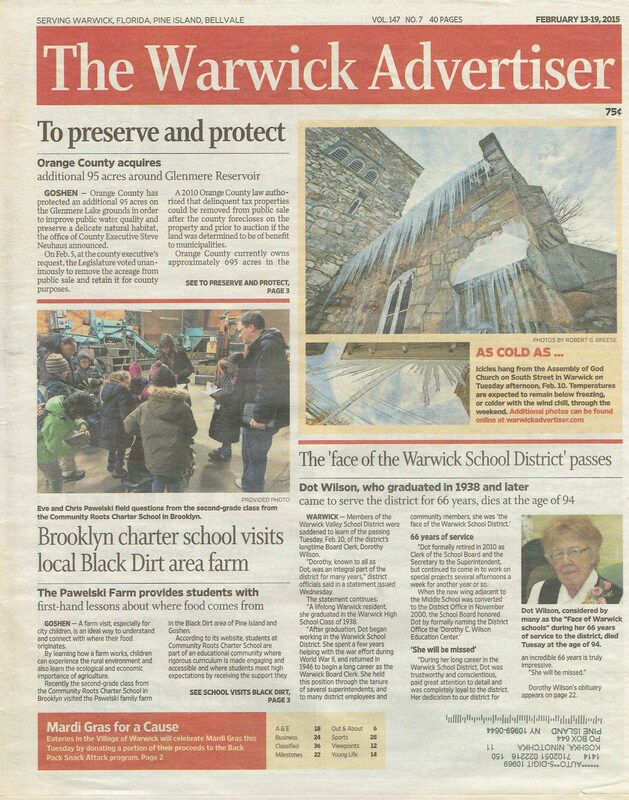 I’ve had Town of Warwick Building Department personnel, Orange County Department of Public Works personnel, and various law enforcement officers who virtually all f them has said this action is crazy and potentially dangerous. They virtually all agree this will create a greatly increased flood risk and could in a flooding situation like this (https://muckville.com/2014/03/26/hurricane-irene-and-tropical-storm-lee/) undermine if not cause the collapse of Indiana Road. Where is the EPA and the ACOE? Are they really that frightened by a potential protest that will never happen and big agriculture in general that they will sit on their hands and allow a main ditch waterway to be covered and made into a road for a right of way of luxury, not necessity? If that’s the case why do we even have an EPA and ACOE? A 4th generation family onion farmer that writes memoirs, blogs and goes to Capitol Hill on occasion to work on farm related public policy. What else do you need to know?